2Heat a large cast iron skillet and add coconut oil, onions and shallots. Saute until translucent, about 10 min. Add ginger, garlic and coconut aminos. Stir to combine. Fold in Basil and transfer to a bowl to cool. 3In a large bowl, generously salt bison and add onion mixture and mix to combine. Season with lemon juice. 4Line a baking tray with parchment paper. 5Form bison into small balls and place on parchment paper. Bake for 17-20 min or until bison is cooked through but not over done. 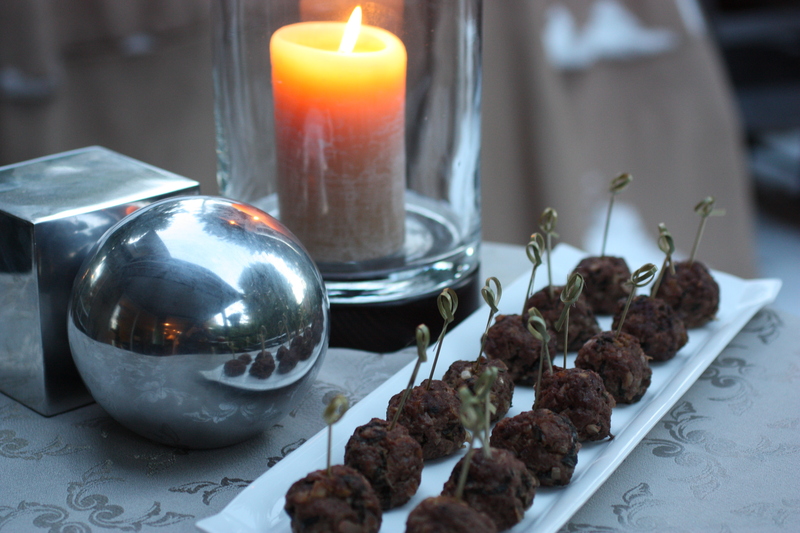 6Cool bison meatballs and place on serving try with a toothpick or bamboo skewer.